A new internal Hospitality space expanding the client’s curriculum offerings to include Hospitality, Food and Beverages. The design solution inserts a professional level kitchen and restaurant enabling knowledge building and career specialization while providing students opportunities for real life experiences in a fine dining facility. 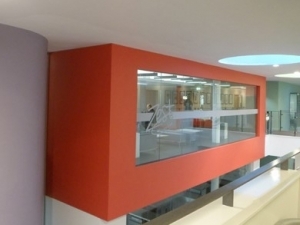 The existing building services base infrastructure was expanded to cater for the load project requirements with the new installation undertaken in 2 phases whilst the college remained operational throughout.